So this past weekend was awesome, why? I baked and iced two (2) lovely, beautiful and extremely delicious cakes. Don’t mind my description, but that’s just the truth. The cakes were good. For the cakes, I did two (2) recipes I love the most; Banana and Chocolate. I’m sorry my people, but I didn’t take pictures of the step by step process; I only have the pictures for the final product. The first cake was for a bridal shower, one of my best friends ordered the cake for her friend. I discussed the recipe with her first (you have to make sure your customer is on board with what you plan to do for the cake). She didn’t have a particular cake flavor she wanted, so it gave me the perfect opportunity to sell her my ideas. 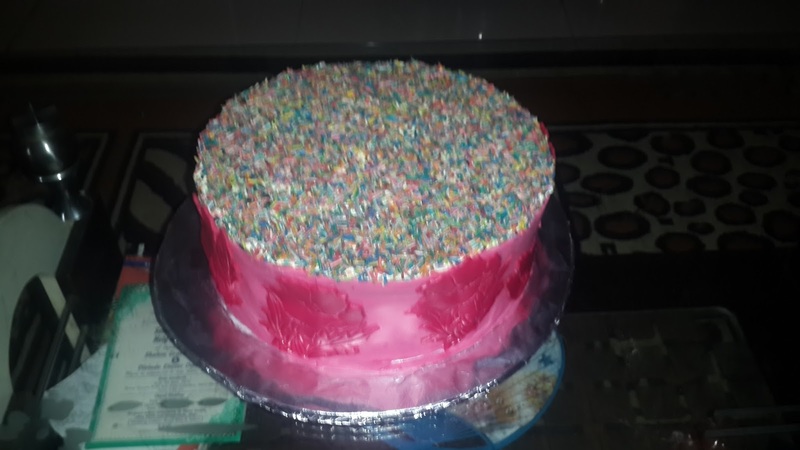 The initial plan was to have Rainbow Vermicelli (Cake Decoration) sprinkled all over the cake. I would have wanted to do butter cream icing but she was travelling with the cake and butter cream would melt on the way. But plans didn’t work out exactly, but I ended up doing something very unique and beautiful. Before I finally came up with the design I used, I tried others. I looked at the cake and I didn’t like it, so I removed everything and did something else; twice. So don’t be afraid to fail and start again. Moreover it’s important to love the cake; love the cake you’re giving out. If you don’t love your output, it’ll be difficult for your customers to love your product, cos you’ll not put all your heart into it. 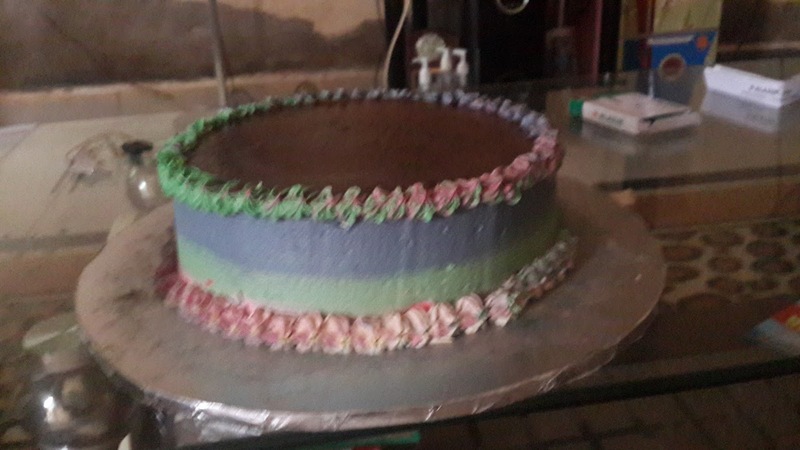 One thing I realized from doing that cake is this; Cake is an art. Baking, icing, decorating is an art. You’re not limited and bound to just one thing, or one recipe. 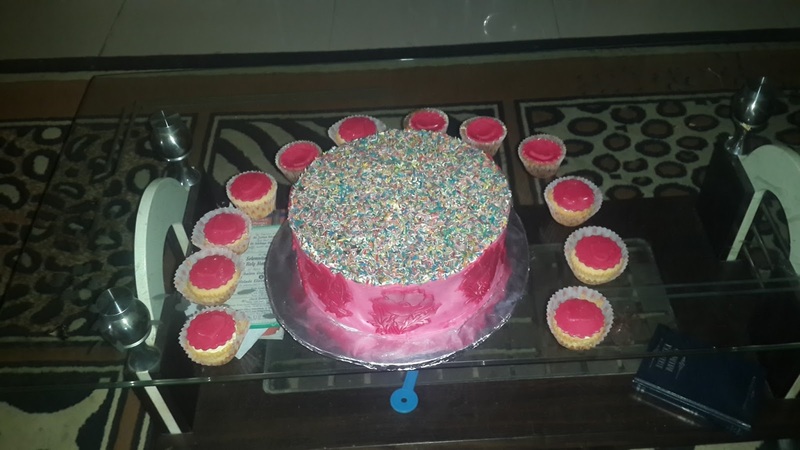 To be a fabulous cake designer, you just have to be creative and adventurous, you must know how to turn mistakes into something beautiful, and you must put in the work. The night I worked on this cake, I slept at 1am, and there was no light, so I had to use a lamp. Forgive my epistle, but when it comes to cake or talking about it, I’m in my A zone. 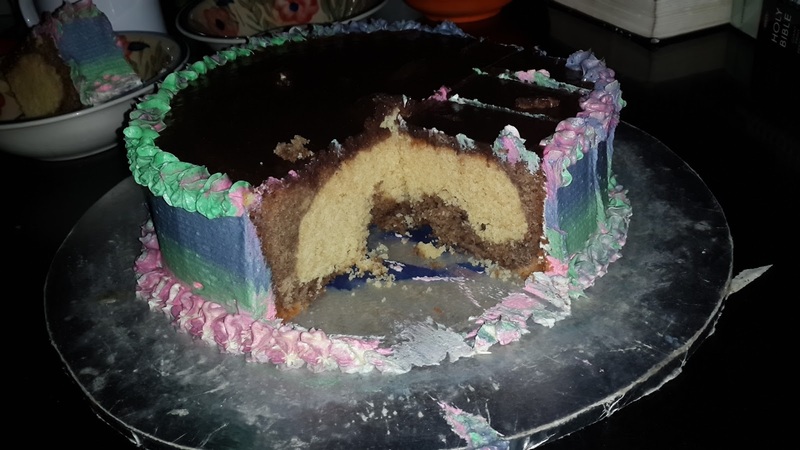 For the second cake, I did ombre butter cream icing, I had just learnt and it was so beautiful. I piped it round, both at the top and at the bottom and poured chocolate pudding all over the top. The picture doesn’t do this cake justice, honestly. So how did your weekend go? I’d love to hear all about it. 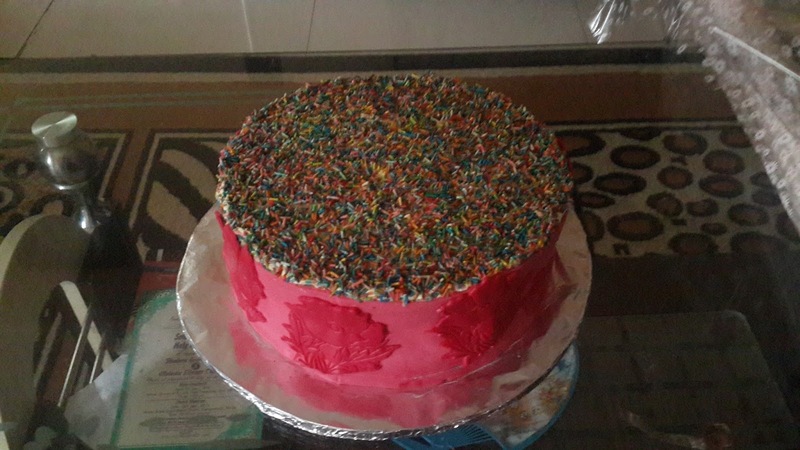 If you’re in Abuja why not order your next cake from me, I make the most amazing cakes. 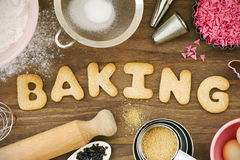 Are you a baker? What have being your experiences so far, kindly share with us. I wish you all a fabulous week ahead. Good job on the baking! !